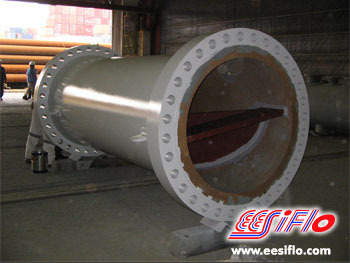 EESIFLO: A homogeneous mixture of oil and water is created downstream of the EESIFLO EESIMIX multiple action mixer by initial division and optimising the division, coupled with back mixing before exit. This ensures that the oil/water mixture has an even distribution of water/oil which is excellent for custody transfer crude oil samplers and water cut meters. 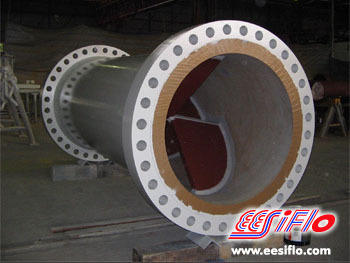 EESIFLO® EESIMIX Static mixers are a row of carefully designed fixed mixing elements permanently welded within a pipe. The mixers use the full force of the process flow stream to enable mixing between two or more fluids. 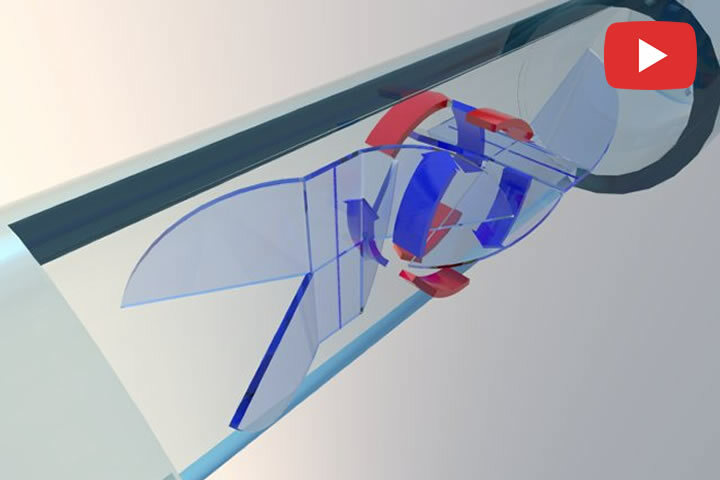 The static mixer design creates very little pressure drop and the greatest amount of mixing. 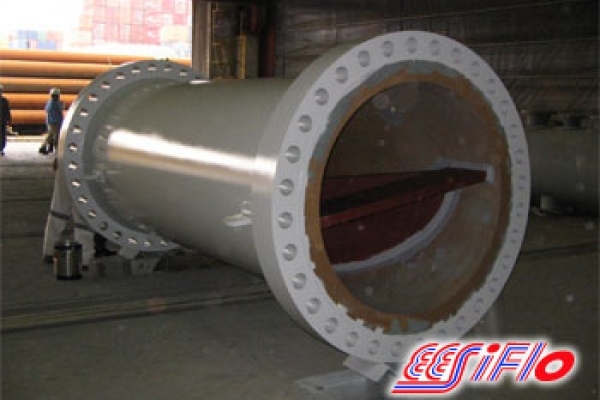 The static mixer is available in sizes ranging from 2 inches to 48 inches and in different flange configurations for high and low pressures. 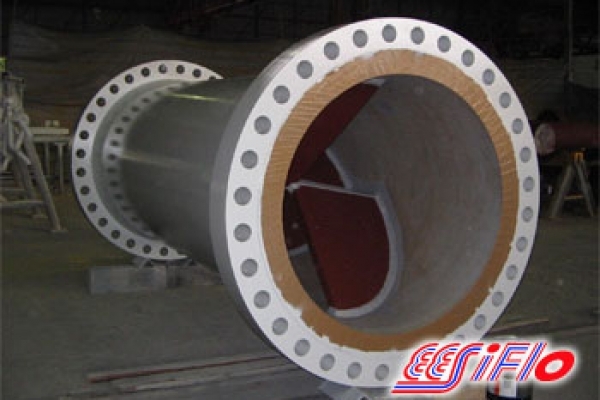 EESIFLO is also certified to produce mixers under the PED (Pressure Equipment Directive) Module H.
Our engineering department is familiar with welding procedures, pressure test requirements and non-destructive tests/documentation and mixing calculations normally expected in the oil and gas industry. Custody Transfer Crude Oil Sampling Systems require a mixer upstream of the sample take off point to satisfy the requirements of stream conditioning. The same principle can be implemented in online water cut measurements where analyzers are installed downstream of the fluid and in chemical additive applications. IMPLEMENTATION OF MOTIONLESS MIXING IN CRUDE OIL CUSTODY TRANSFER LINES FOR REPRESENTATIVE SAMPLING AND WATER CUT. Mixing pumps and nozzles are often very costly and even questionable when considering large diameter pipes and higher flow velocities. One of the most effective ways of mixing crude oil in a pipeline can be achieved by our motionless mixers if the minimum velocity is met. In cases where this is not possible, an EESIFLO Crude Oil Mixing Hybrid System is a viable option.